When a person has no aches and pains and no major health concerns, it’s easy to forget that such luxury is not forever. For most of us, there will come a day when our bones are not as strong, our muscles not as flexible, and our joints not as pain free. However, taking care of yourself early can really improve how you feel in the future. Staying healthy later in life starts early, and there are many small habits and routines you can develop to keep your body running it’s best as you age. In addition to eating your fruits, veggies, whole grains, beans, nuts and seeds, here are some easy things you can do now, for a better tomorrow. Most exercises are beneficial long and short term, however weight bearing exercises in particular can help in strengthening your bone for the future. Bone fractures are very prominent in older individuals because as a person ages, bones naturally begin to weaken and deteriorate. This process can be slowed down by reaching a higher bone density peak. Exercises involving weight and resistance maintains and builds bone density. In addition, it improves strength and muscle mass for better balance. Stress is clearly not a positive emotion but it also has negative long term effects. Studies have shown a link between stress and heart disease. This is largely due to the short term effects of stress; stress often causes people to overeat, smoke, and be involved in other health depreciating activities. Though alcohol has been known to have heart protective properties, more often than not, people misunderstand other implications. Drinking to excess can raise blood pressure, weaken the heart’s ability to circulate blood, and increase cancer and stroke risks. In addition, long term alcohol use can lead to the risk of brain damage and neurobehavioral defects. This is because alcohol affects the sensitive chemical balance in the brain, which also can have negative effects on emotional state. It may not seem like you need to visit the doctor if you are not experiencing any medical concerns, but problems can sometimes surface without detectable warning. High blood pressure and high cholesterol are virtually undetectable without medical screening. Keep yourself in check by making sure your body is as healthy on the inside as you feel on the outside. As the weather gets warmer, tanning and sunbathing tends to become a go to activity for many people. While sun-kissed skin may be highly desirable, sun exposure is linked with skin cancer, which is one of the most common types of cancers in the United States. Effects of skin cancer are also undetectable until years down the line. Keep your skin protected now and limit your sun exposure, wear sunscreen, and cover up as much as you comfortably can. Remember that preventing one is more effective than trying to fix a health problem. Though everything seems fine right now, as you age you may realize that many health concerns could have been prevented if you had developed good habits earlier in life. Look out for your future and aim to live a long and healthy life. National Nutrition Month is an annual nutrition education campaign sponsored annually by the American Dietetic Association. This month’s campaign focuses on the importance of making informed food choices and developing healthy eating and physical activity habits. It also focuses on how to create meals that can be enjoyed and also promote good health. 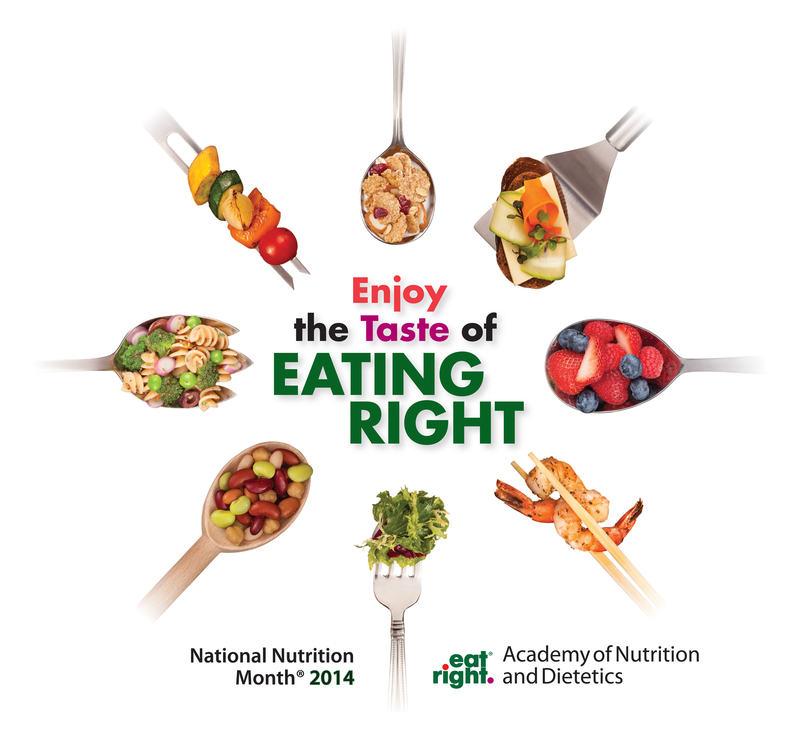 The 2014 National Nutrition Month theme is “Enjoy the Taste of Eating Right.” Research confirms that taste is the determining factor for the foods that consumers choose on a daily basis. Though social, emotional, and health factors also play a role, people are likely to choose foods based on what they enjoy the most. This means that nutritional considerations often fall by the wayside. This year’s National Nutrition Month focuses on how to create meals that can be enjoyed and also promote good health. Looking for a way to practice choosing foods that are both healthy and enjoyable? Try this optional week-long healthy eating challenge. 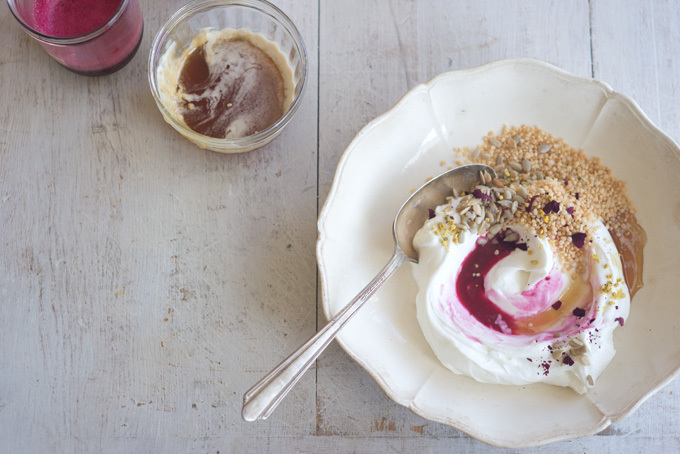 Alternatively, you can try just a few meals or snack ideas from the list as another option! Look for National Nutrition Month events going on at the UC Davis Dining Commons all month long! Make a wrap! Grill chicken and wrap it in a whole wheat tortilla with your choice of extras such as avocado, lettuce, and tomato. Or try this recipe for Fajita Ranch Chicken Wraps (pictured above), which are only $2.05 per serving. Alternatively, create a breakfast wrap by substituting scrambled eggs as the protein source. Oatmeal is high in fiber, which helps reduce cholesterol, protect against heart disease, and strengthen the immune system. If you’re still not convinced you should run out and buy oatmeal this second, you will be after you read more about its health benefits here. 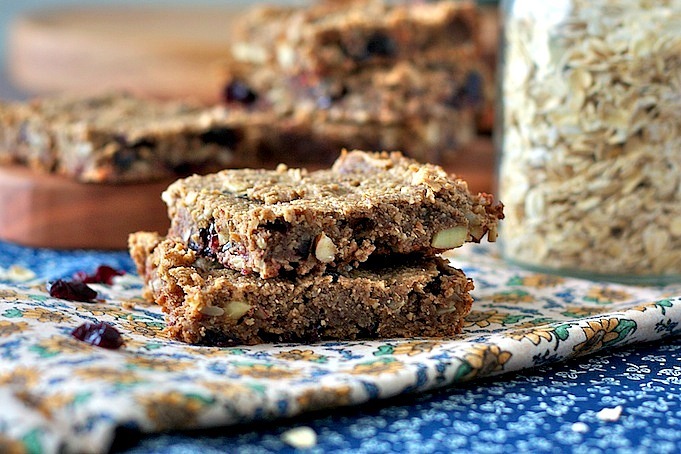 Instead of purchasing prepackaged oatmeal that is already flavored, opt for plain oats. From here the options for oatmeal additions are endless. 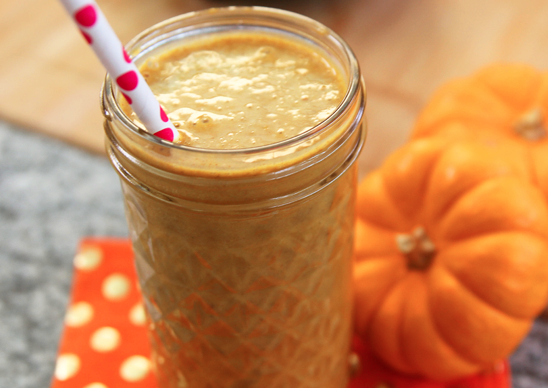 For autumn themed oatmeal, add canned pumpkin, pecans, cinnamon, and honey. Make a hummus dipping platter with pita bread and raw vegetables such as snap peas, sliced cucumbers, cherry tomatoes, broccoli, or cauliflower florets. Chickpeas, the main ingredient in hummus, are rich in fiber and protein. They also contain vitamins and minerals such as folic acid, zinc, and magnesium. 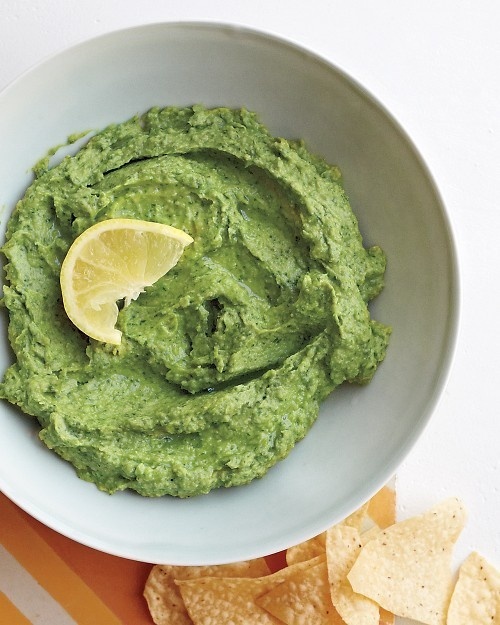 Trader Joes sells hummus for less then $2, or create your own using the recipe here! Make a tuna or egg salad. Canned tuna and hard-boiled eggs serve as an inexpensive base. This recipe for Tuscan-Style Tuna Salad is a fun twist on classic tuna salad, incorporating beans and eliminating the traditional mayonnaise. Spread on whole wheat bread or crackers. Instead of spending money on juice or soda, slice fresh fruit and add it to water. This is a cheap and easy way to create a flavored beverage that doesn’t contain lots of added sugar, and you can eat the fruit that’s left over! If you want to get creative, try mixing and matching fruits with various herbs and spices such as watermelon and cilantro or pineapple and ginger. As you can now see, eating well does not always require spending a lot of money. There are so many options that are both healthy and affordable. 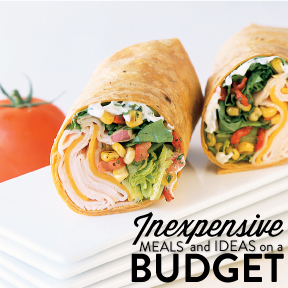 The best way to eat healthy on a budget is with a little planning and a lot of imagination. Happy saving!